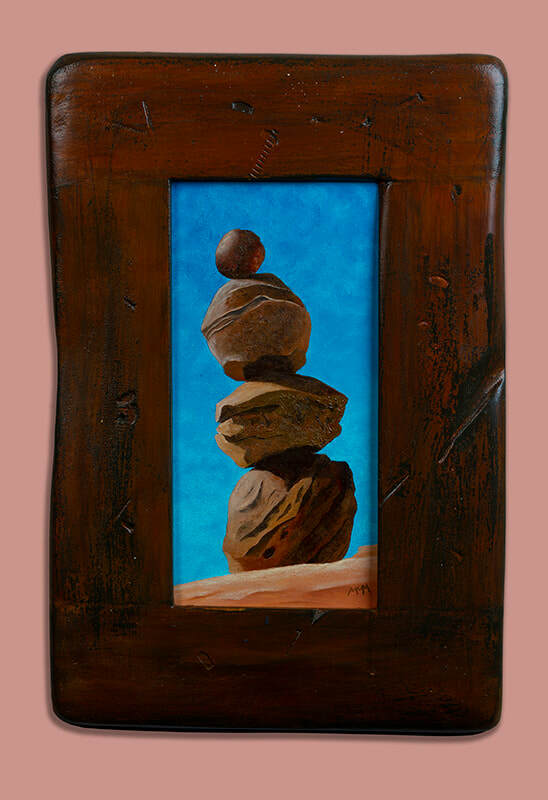 I went looking for Moqui Marbles in the Grand Staircase Escalante National Monument in Southern Utah where I made this Moqui Marbles Cairn and then created this small painting. The cairns in this painting are about life size. Because of their roundness it took a long time the stack. ​The distressed wooden frame was made by the artist.